I believe this made in 1982 Seiko 1421-0140 is the first FIELDMASTER series, before it's sequel 2C21-0080 and SAD048 (H558-5020). 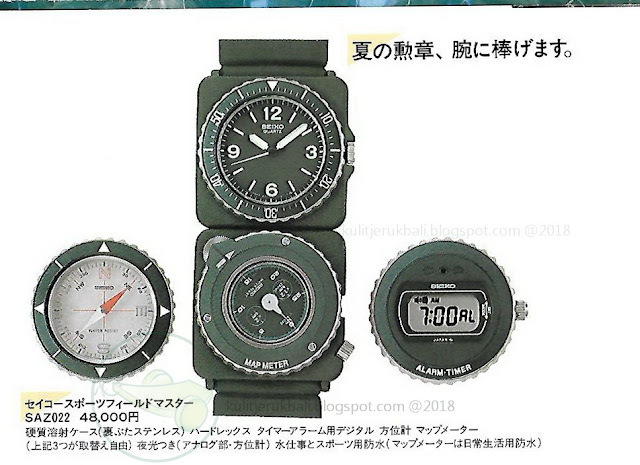 It has uncommon looks, with only 28mm wide, 20mm lug width and (maybe) the only watch with 3 springbars attached. The original rubber AL27A strap is uncommon too, shorter in total length compared to common strap. Known as CONTRA Fieldmaster... 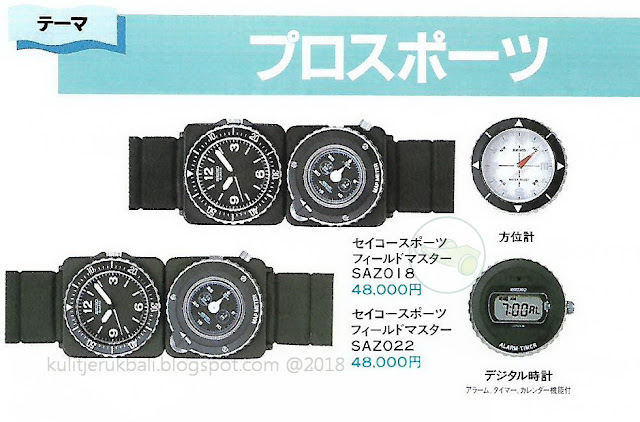 I cannot find any official evidence why this watch is associated with a group militant in Nicaragua, not many but there are some stories on world wide web, let's skip it and continue to what this strange-watch can do. With different system combination methods we can use depending the purpose. Tough for outdoor sports. 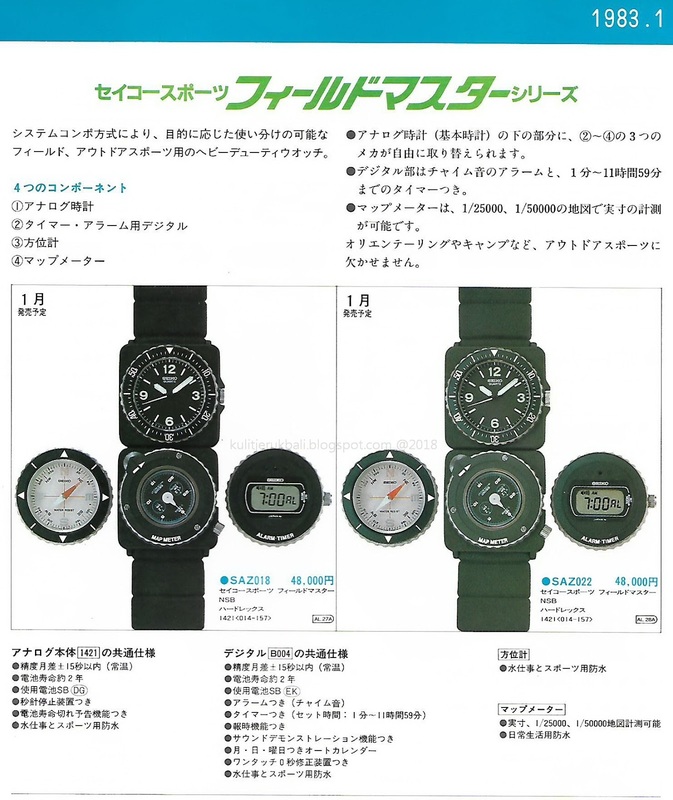 Seiko offered 2 colors, SAZ018 (1421-0140) in Black and SAZ022 (1421-014A) in Olive Drab. ① Analog 1421 & ② Digital B004 are different movements so basically if we use them as a combo we are wearing 2 watches. Three items of ② to ④ freely replaced in the lower part of the analog watch (basic watch). The map meter is capable to measure actual size of the map in 1/25000, 1/50000 scales. Made for orienteering, camping and other outdoor sport activities. The engineer designed this watch very well, it just like a vintage Smart Band, tough to wear while exploring the forest, breaking through bushes, even when it rains, thanks to the 10-ATM water resistance! 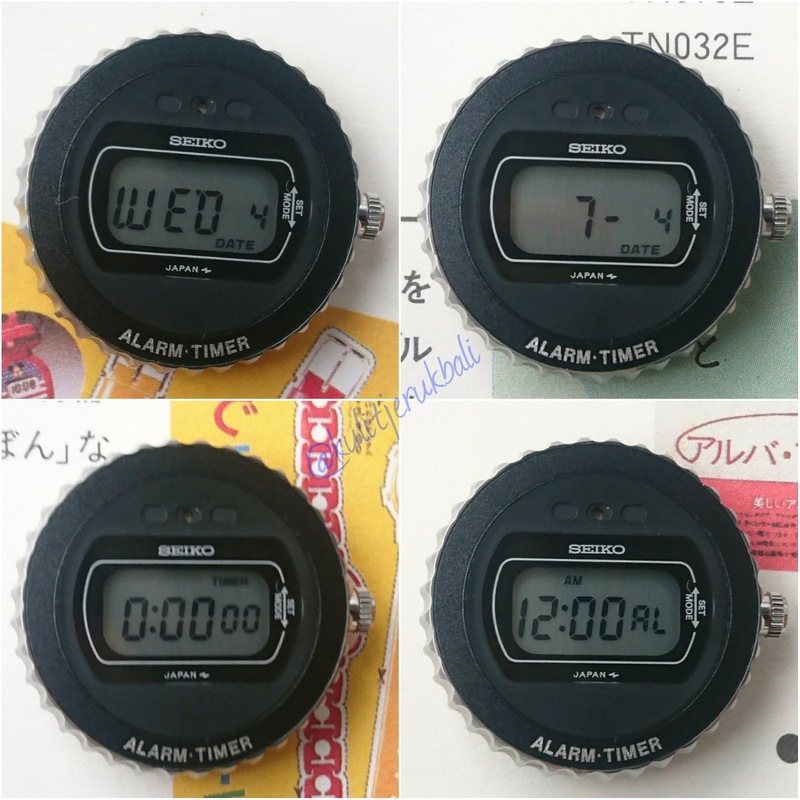 B004 is unique digital watch, small (designed for lady).Unique because it has no button! Just one-magic crown to do everything including all setting needs. We can switch into each mode by turn the crown clockwise. How to test alarm sound/rings? 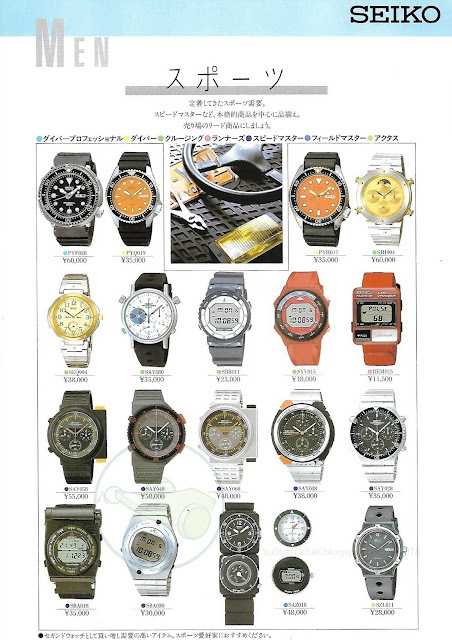 In Time Display turns the crown clockwise & counterclockwise twice within 2.5 seconds. How to engage & disengage alarm function and how to stops the alarm rings? In the Alarm Display, the alarm mark appears and disappears alternately with each push of the crown and the alarm Is engaged and disengaged respectively. And to stop alarm rings is by turn the crown once clockwise or counterclockwise..